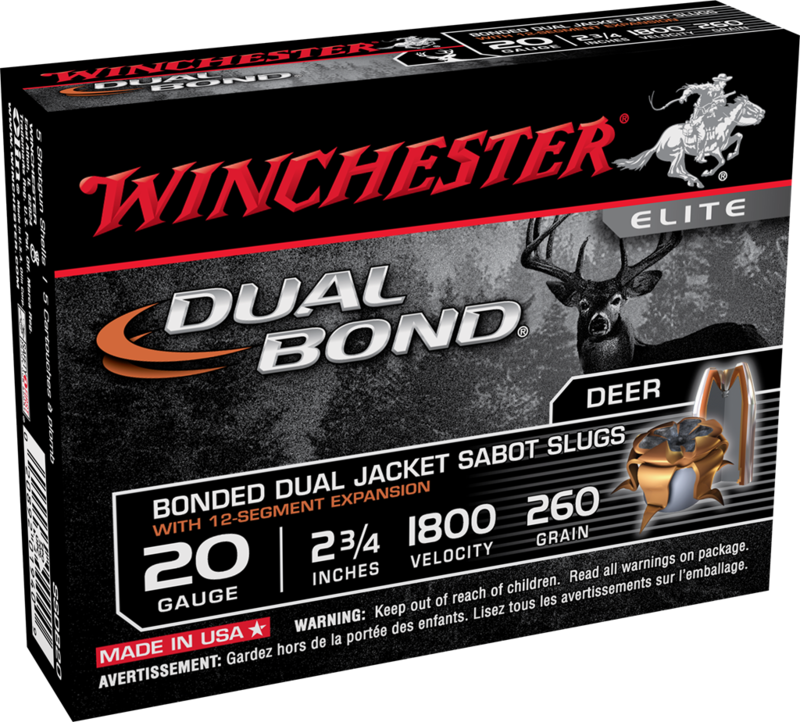 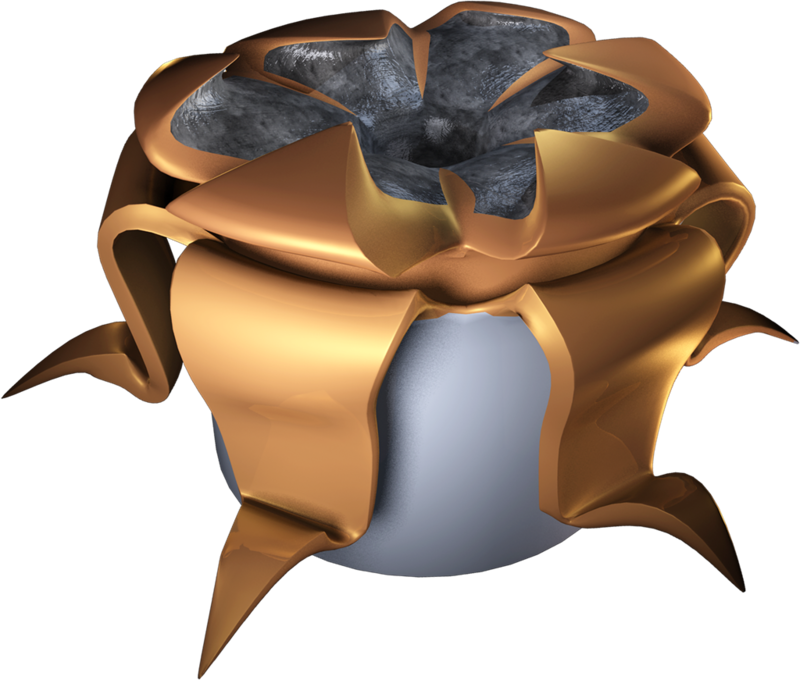 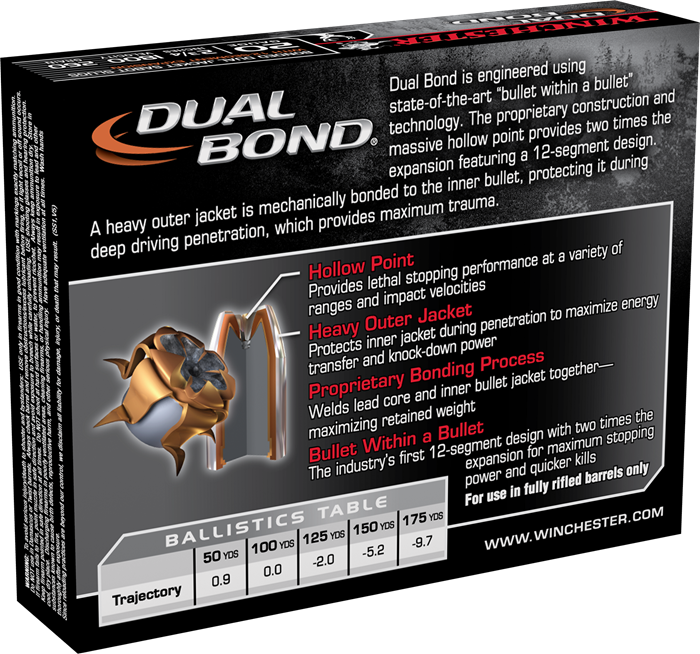 Dual Bond is engineered using state-of-the-art "bullet within a bullet" technology. 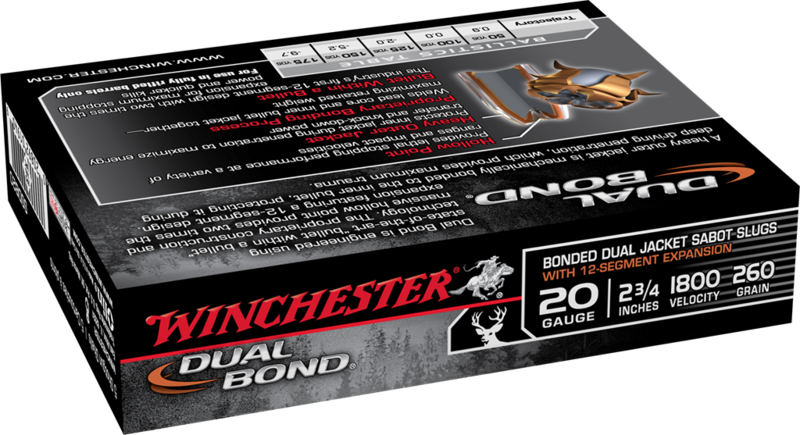 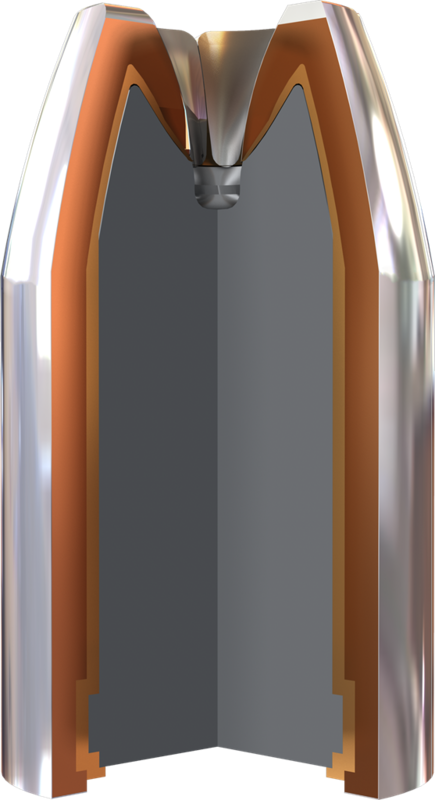 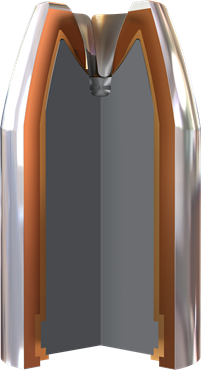 The Proprietary construction and massive hollow point provides two times the expansion featuring a 12-segment design. 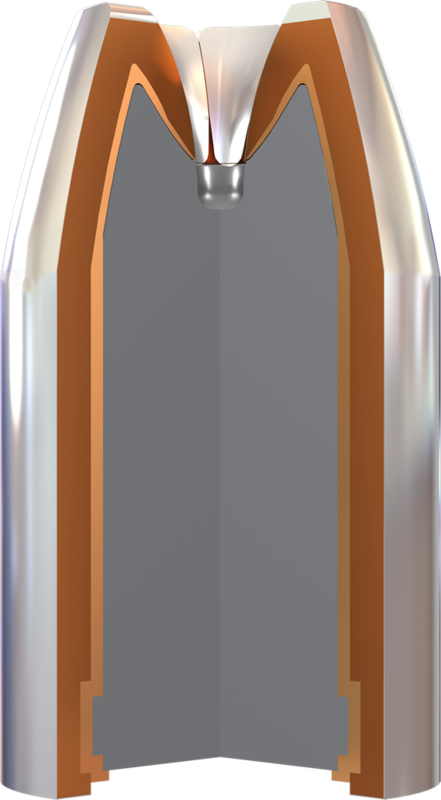 A heavy outer jacket is mechanically bonded to the inner bullet, protecting it during deep driving penetration, which provides maximum trauma.